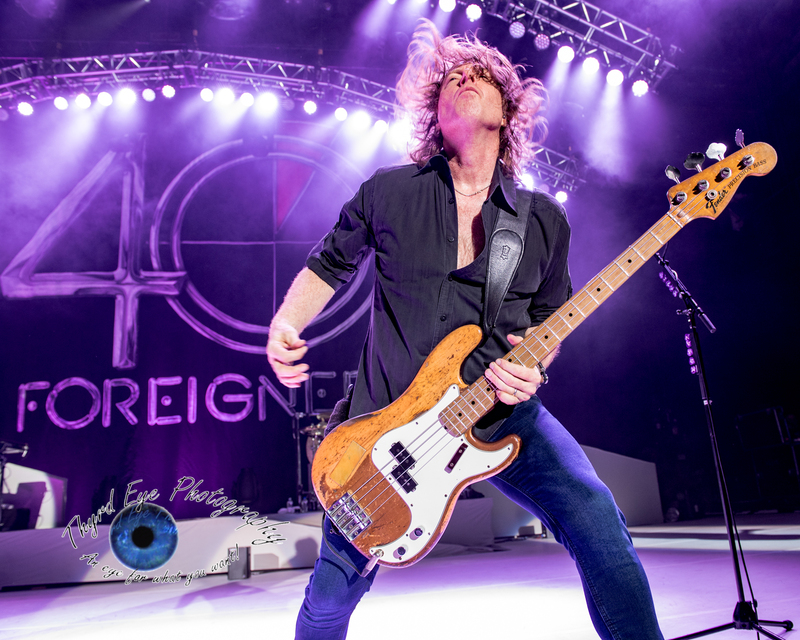 Rock legends Foreigner are in the middle of celebrating their 40th anniversary with a huge US tour. 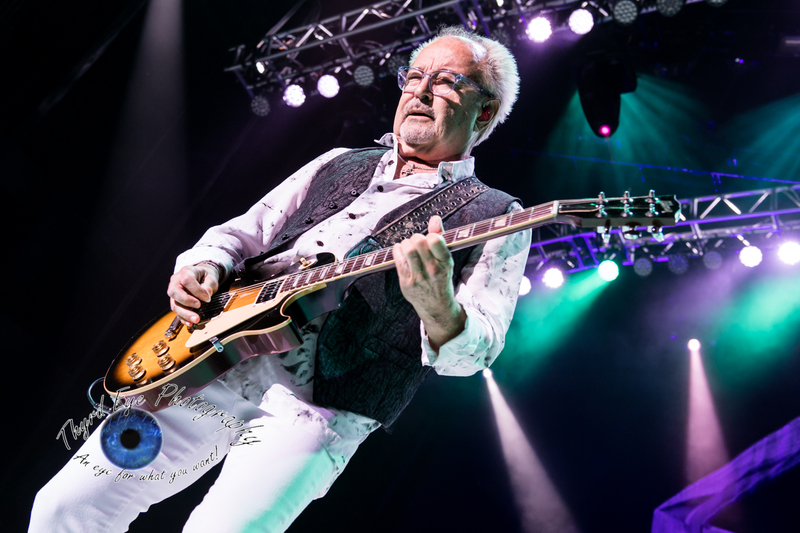 On Wednesday the band made a stop at the Hollywood Casino Amphitheatre and showed that even after 40 years they are still a killer live act. Opening with “Double Vision”, “Head Games” and “Cold As Ice” Foreigner started strong on a clean stage, free from distractions and were able to let the music be the main focus. 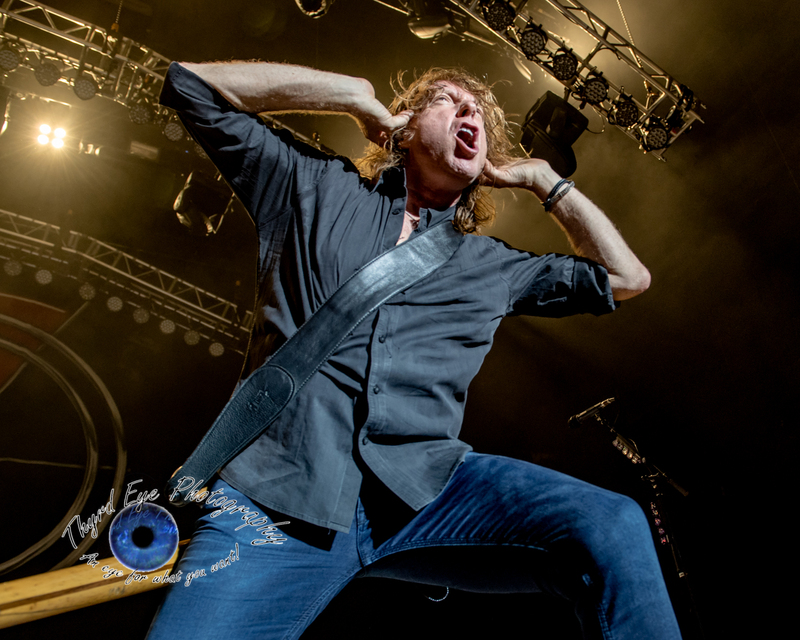 While founding member Mick Jones is still stellar on the axe one can forgive him for not being as energetic as he used to (he is 72 by the way), the show still had a very high tempo led by lead singer Kelly Hansen’s tireless energy and bassist Jeff Pilson’s rock star enthusiasm. The rest of the band (guitarists Bruce Watson and Thom Gimbel, keyboardist Michael Bluestein and drummer Chris Frazier) was solid and sounded tight as could be, a well oiled machine. 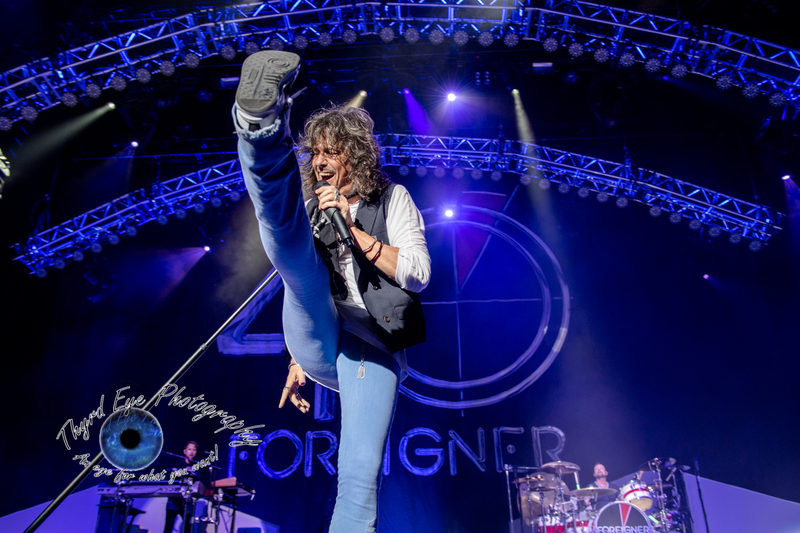 It was just what Foreigner fans wanted, a setlist of their best material from the band’s heyday of an eight year span that saw their first five albums go triple-platinum or better. They even threw in an odd tidbit with a “trippy” (as Jones called it) track called “Starrider” from their debut self-titled LP in which Jones sang lead. One highlight was during the song “Urgent” when long time member Thom Gimbel performed the Saxophone part that was so famously done by the late, great Junior Walker. The hour and a half set was not without it’s troubles, though they were more caused by Mother Nature than anything on the tour. The encore began with the band’s biggest hit “I Want to Know What Love is” and plans called for a participation from a local high school choir. However, just a few hours before show time the Saint Louis area was inundated with immense rain causing flash flooding across much of the area. In the end the choir couldn’t make the show. 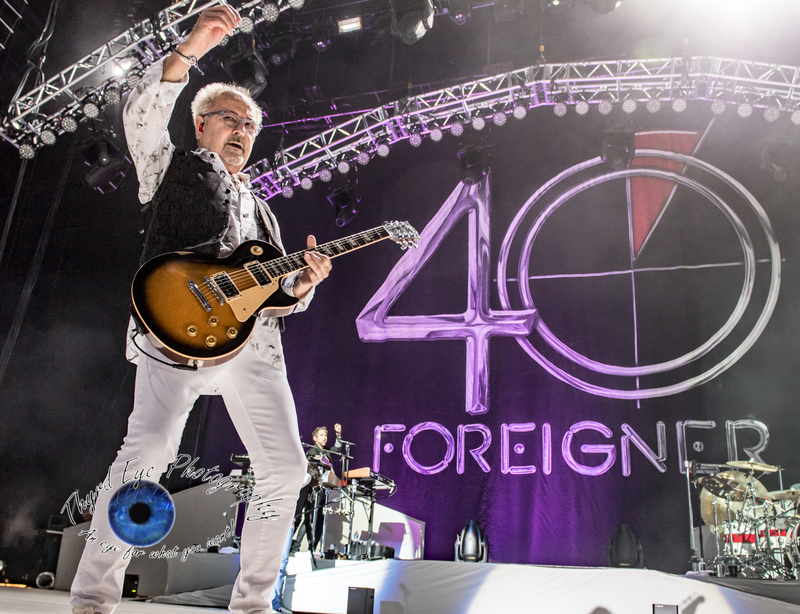 Foreigner still performed it without a hitch and the audience didn’t even know, for the most part, what should have happened. Another highlight came when during the drum and keyboard solos Hansen snuck out to the soundboard area and was hoisted 20 feet in the air on a narrow platform lift to perform the first half of “Juke Box Hero”. He appeared to feel very comfortable as he was his normal high-energetic self and the platform was swaying back and forth. I’m glad that wasn’t me high up there. Kudos to you, sir. Cheap Trick held the support slot for the tour and performed a solid hour-long rocking set. Lead singer Robin Zander guitarist Rick Nielson were visually entertaining, as usual, and sounded good. Bassist Tom Petersson’s solo on a 12 string bass was nothing short of phenomenal. 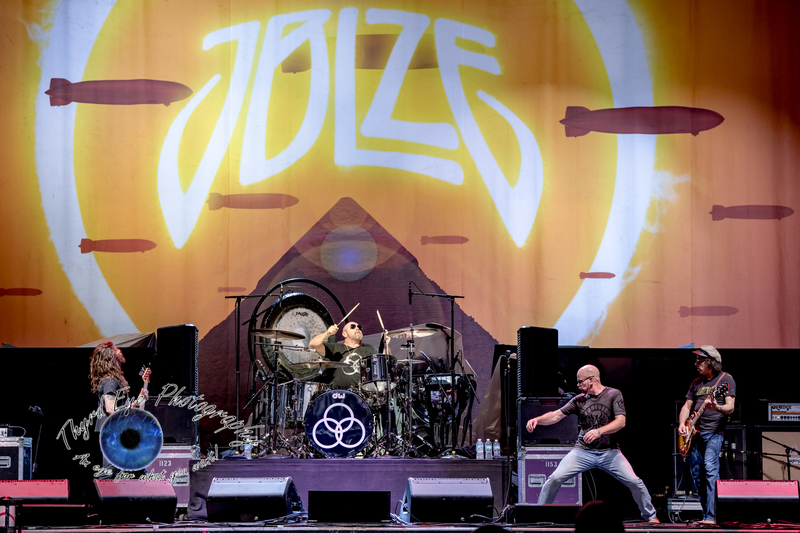 Jason Bonham’s Led Zeppelin Experience opened the show with a solid 45 minute performance of classic Zep songs. Bonham has the feel and tenacity his father had and you can feel it and hear it in his playing. 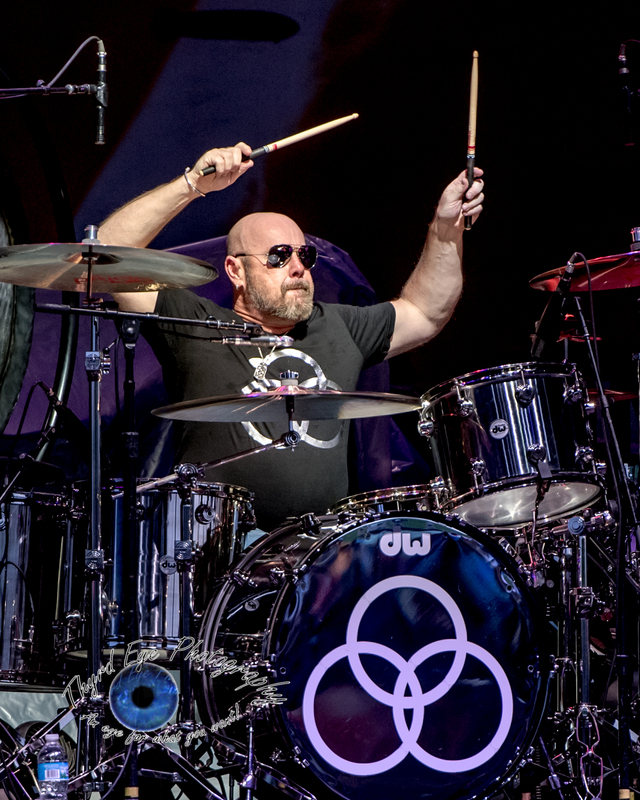 (Side note for you Jason Bonham fans, he will be back in town next month performing with Sammy Hagar and the Circle for KSHE radio’s 50th Anniversary celebration at the Hollywood Casino Amphitheatre. Catch that if you can). 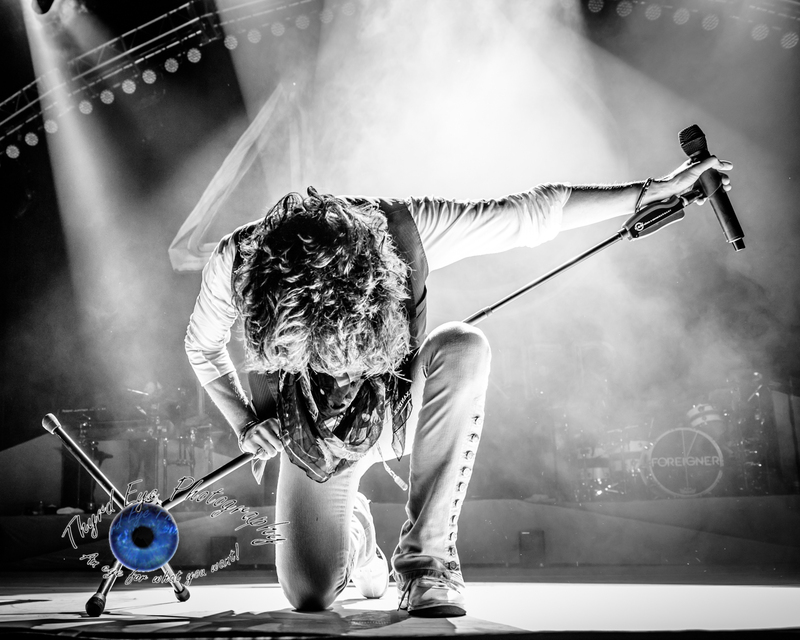 Check out the rest of the photos after the setlist.